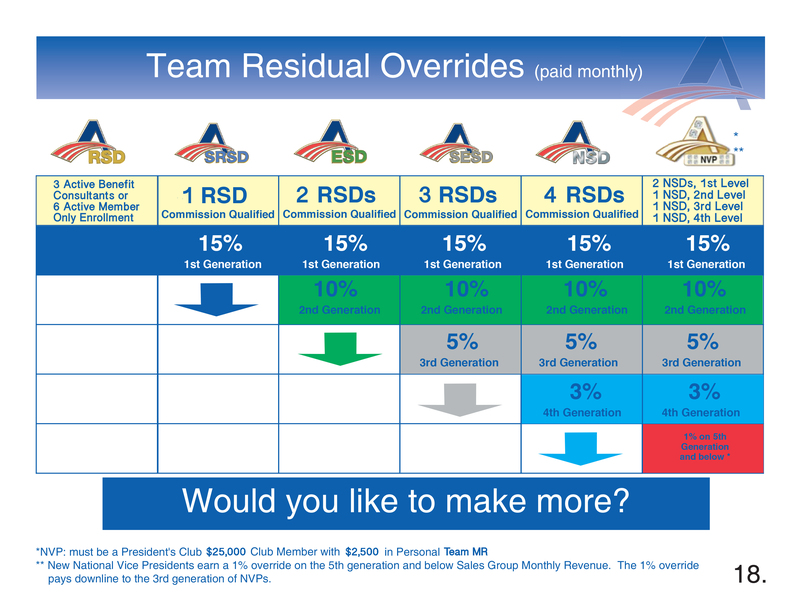 Starting with the rank of Regional Sales Director (RSD), AmeriPlan's lucrative overrides richly reward BCs who develop new leaders in their downline organization. This plan lets you build a strong residual income that will mean freedom for you and your family. We believe it is the best compensation plan in the direct sales industry. A Qualified RSD must have a minimum of $100 or more in MR each month.